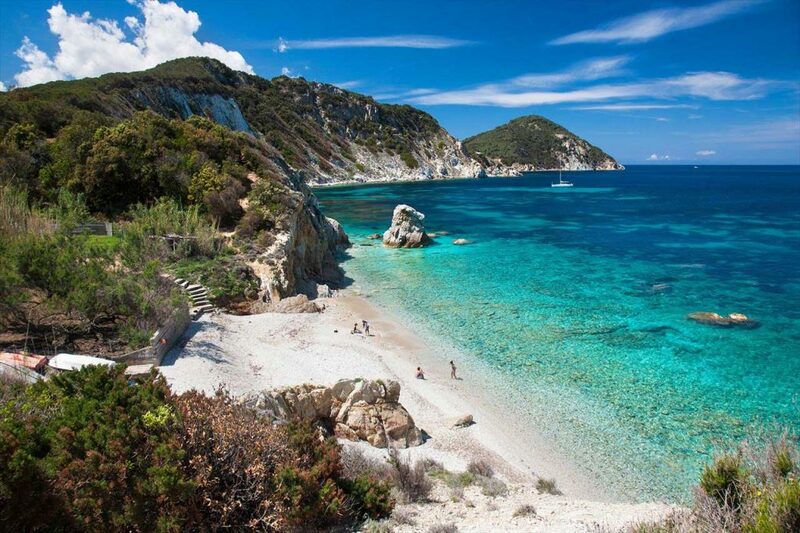 sola d’Elba is one of the best Italian jewels. It is an island located in the center-west of Italy and it is worldwide known thanks to its wonderful landscapes and beaches. But this is also an Island with a lot of history and culture. Isola d’Elba was populated since the Stone Age and it was very popular to the Greek and the Romans thanks to its huge reserves of iron. The first inhabitants of Elba were the “Ilvati”, a group of people from the near Liguria. After that, Isola d’Elba was populated by the Etruscan, the Romans, the Longobards, the Saracens… . In the 16Th century Isola d’Elba became a Spanish territory and part of it was donated to the Duchy of Tuscany, the actual Italian region of Isola d’Elba. In the 16Th century Isola d’Elba was dominated in the same time by three reigns: the Appian, Duchy of Tuscany and the Spanish. In 1860, with the born of the Reign of Italy it is became definitely part of the Italian Territory. Its popularity as a touristic destination began only in the 1950s. Isola d’Elba owns a lot of wonderful beaches and coves. Some cove can be difficulty reached by street. For this reason, also if the streets allows to move in all the territory, the best way to visit Isola D’Elba is by sea, with a yacht. The yacht is a boat that can be of different dimensions and prices. If it is a day sailing yacht or a weekender yacht, the smallest ones, it is easy to drive because it is of small dimensions and it is generally composed of boat steering systems ,that help to give the direction to the boat, and by a sail ,that allows the propulsion of the boat without fuel and motor. All the beaches of Isola d’Elba are wonderful, in particular those in the area of “Capoliveri” in the south-east of the island. Here the beaches are generally coves with crystal clear sea, not-human influenced landscapes and generally with sand beaches (“Laconella”, “Lacona”, “Norsi”, “Felciaio”…). Despite its dimension of only 224 sq km, Isola D’Elba hosts 8 municipalities, each one with its features and its services. They have suggestive landscapes and views and are truly equipped with touristic services (all types of accommodation, restaurants, bars, discos…). In particular starting from the municipality of “Portoferraio”, where there is the main port, direction the marine steering wheel to west, we find the municipality of “Marciana Marina” and after that those of “Marciana” that stretches across all the western side. In the south there is the municipality of “Campo nell’Elba” and, in the south-east, those of “Capoliveri”. Driving to north we can finally find the municipalities of “Porto Azzurro”, “Rio nell’Elba” and “Rio Marina”. Isola d’Elba is an island and the best way to reach it is by sea, with a boat or with the ferry. There are three ferry ports: Portoferraio, Rio Marina and Cavo. There is also a small airport, that is in the municipality of Marina di Campo. Isola d’Elba is a perfect destination for summer holidays for people that loves the sea, the nature and the culture and also for young people that loves the nightlife.